Unless you have suffered from back pain at some point in your life, then you may not understand how debilitating this condition can be. While you may be able to sympathize with someone who is experiencing chronic pain, you might not know enough to help. Different treatment options are available when it comes to chronic back pain. Some are more effective than others. Some come with some unwanted side effects. Damage to internal organs, rebound anxiety, and ineffectiveness, can all lead people to seek more natural forms of treatment. That is why many people have found relief with CBD oil for back pain. 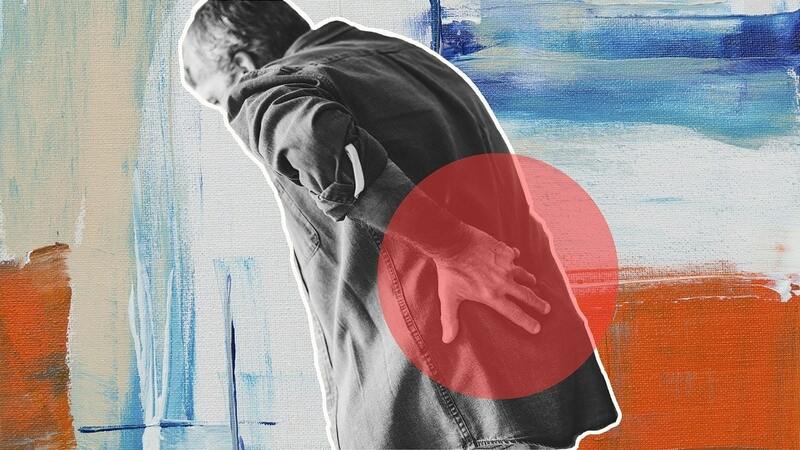 Let’s take a closer look at back pain and how CBD can help you heal. There are some different reasons back pain may creep up on occasion. Disease, trauma, and age can all contribute to ongoing issues. Many people have even missed a good deal of work because of back pain that leaves them immobile. People who work physically demanding jobs are not the only ones at risk. People who sit at a desk all day may suffer the same degree of pain. The U.S. as a whole spends more than $50,000,000 on back pain treatment each year. A vast majority of these treatments don’t work. Over-the-counter medication can provide temporary relief, but this is very short lasting. NSAIDs are anti-inflammatory drugs that can be used for back pain. That includes Ibuprofen, Valium and Voltaren. Inflammatory conditions of the back can include bursitis, inflamed nerve, inflamed tendons, etc. While most people find the best results with Ibuprofen, this medication doesn’t last very long. After you take it for some days, it can cause ulcers in your stomach and esophagus. You may feel nauseous with the ongoing use of medications. Prescription medication can lead to addiction for people who are prone to this condition. Some people use steroids for back pain, but they can suppress your immune function. Patients who are suffering from ongoing back pain may find relief in CBD oil. This non-psychoactive cannabinoid comes straight from the natural hemp plant. It can alleviate some conditions including chronic pain, inflammation, joint problems, tremors, seizures and much more. As a back pain treatment option, a small dose of CBD daily is much safer than prescription medication is thanks to virtually no side effects. Also, it isn’t habit forming, and CBD is very affordable. Opioid painkillers can be extremely dangerous, cause withdrawal symptoms and cause addiction. Back pain is something that can affect your life in several ways. It may cause job-related disability, increase your missed-work days, and make it harder for you to go about simple daily tasks. Cannabinoids have been studied for many years now since scientists discovered the endocannabinoid system. This system is responsible for regulating a number of our bodily functions. Researchers have determined that CBD therapy looks promising for the future ahead. Specific studies on certain medical conditions aren’t necessarily readily available when it comes to proving CBD is effective. When it comes to back pain, some studies are showing some beneficial results. A recent study took a look at invertebral disc degeneration. This condition can be excruciating, but this study determined that CBD could alleviate pain and help with the anti-inflammatory process. If treatment is going to be needed on a long term basis, it is essential to find an option that will be safe for the body. Better yet, if the treatment option can assist with the entire body being more balanced and healthy, this is a great option to consider. CBD has the potential for boosting immune function, balancing the mind and improving brain function. With or without back pain, CBD is a supplement that holds a lot of promise as an addition to an ongoing health and wellness routine. Back pain is currently one of the most persistent problems that Americans are facing right now. As many as 31 million Americans are suffering from back pain. Eighty percent of people will experience at one point in their life. Twenty percent of people who deal with back pain will have it develop into a chronic problem. Sometimes this can be prevented with proper treatment when the back pain initially sets in. As a common cause of disability, back pain should be treated by addressing the source of the pain. Not everyone experiences back pain because of an injury. Sometimes an acute injury can cause pain without a person even knowing they had something occur. Cannabinoid supplementation is a great way to address the inflammation that is almost always present with back pain. Someone who is currently suffering from chronic back pain knows how important it is to find a solution that works. Chiropractic care and physical therapy are often beneficial, but CBD oil for back pain has potential like no other. Hello! I want to talk about my problem, about eternal back pain. For a long time I suffer. I used many different treatments, nothing helped. Then I learned about the CBD. The first thought that came to mind was that it was a crazy idea to use it. But after the back problem got worse, I took a chance and tried the CBD. After using CBD, the back pain is gone. Really suppresses pain and has healing properties. My dad is a seasoned taxi driver and he’s had a chronic back pain for years. Mom started to apply some CBD oil on his shoulders and lower back. He feels better now. 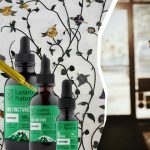 I’m a CBD advocate, but can cannabis alone help with chronic pain? I won’t say for everybody, but my dad’s results were surprisingly amazing.